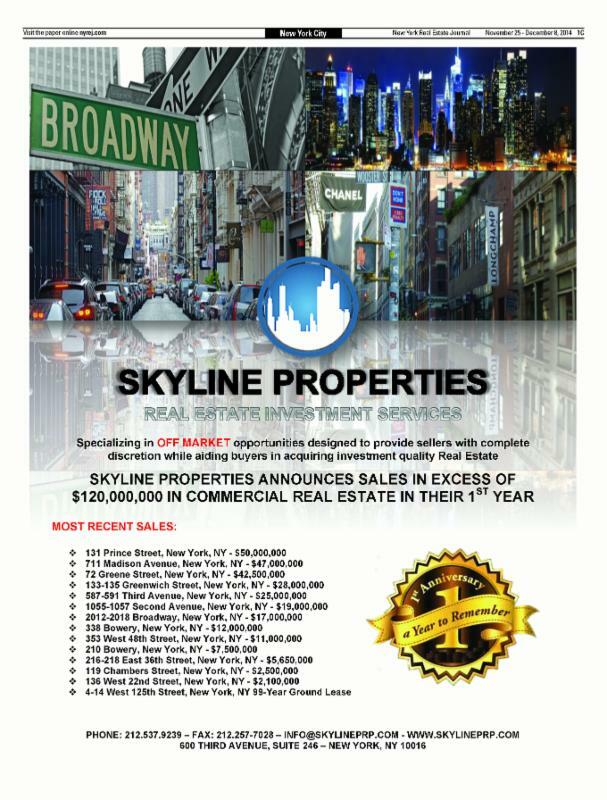 Feb. 24, 2015 – New York, NY– With sales of $120 million in commercial real estate for 2014, Robert Khodadadian and Skyline Properties are entering 2015 with a ton of momentum. 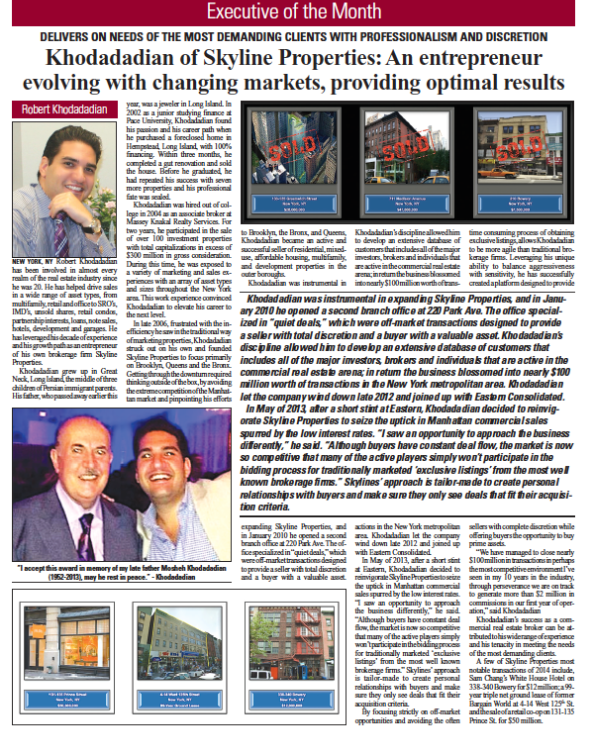 For 2015, their aim is to zero-in on the off-market sector where discretion is the watchword of some of the city’s most serious property players. 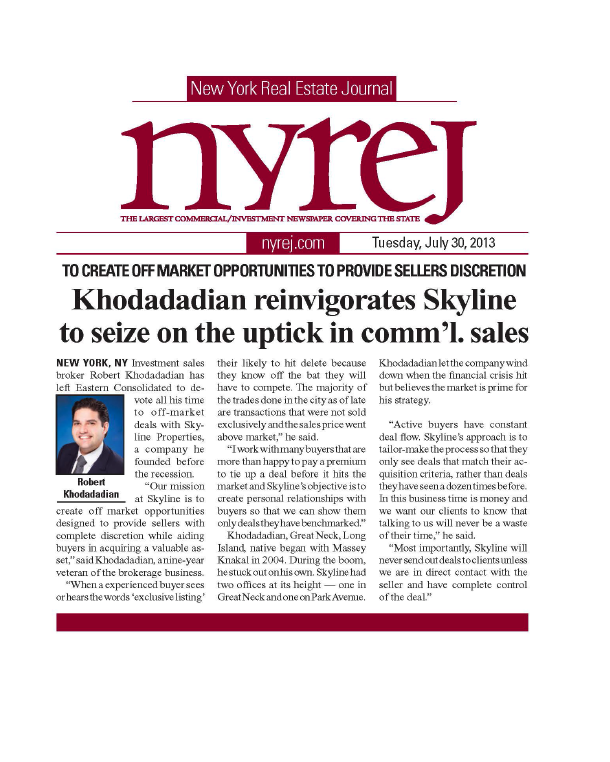 “Our mission at Skyline is to create off market opportunities designed to provide sellers with complete discretion while aiding buyers in acquiring a valuable asset,” Khodadadian said, a ten-year veteran of the brokerage business. 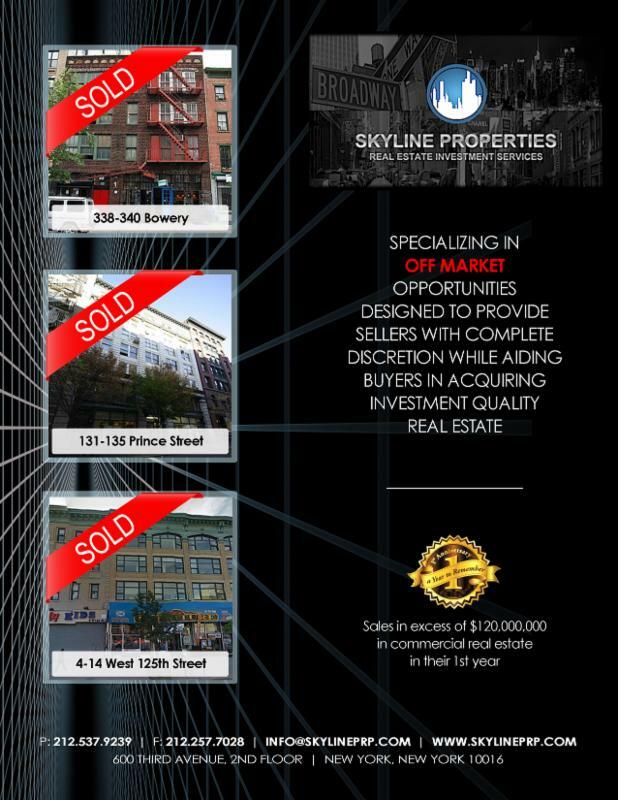 “The Manhattan commercial market has become so competitive and aggressive that when a buyer sees or hears the words ‘exclusive listing’ they’re likely to hit delete. The majority of the trades done in the city as of late are transactions that were not sold exclusively and the sales price went above market.